Here are some screenshots/videos to see how some of the things look like and to help understanding the documentation better. The L4Re also has a screenshot page. This is shows a video (37MB, 10FPS, 3:00, mpeg4 version: 17MB) of boot/halt sequences of two L4Linux instances under Fiasco-UX. 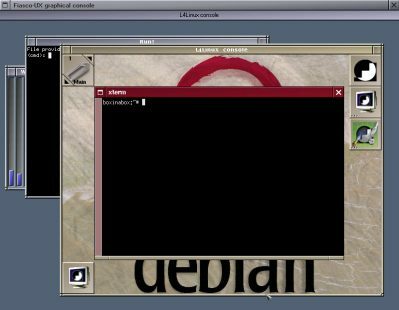 This is shows a video (20MB, 15FPS, 1:32, mpeg4 version: 17MB) of a short L4Linux session unter Fiasco-UX starting the X Window System. 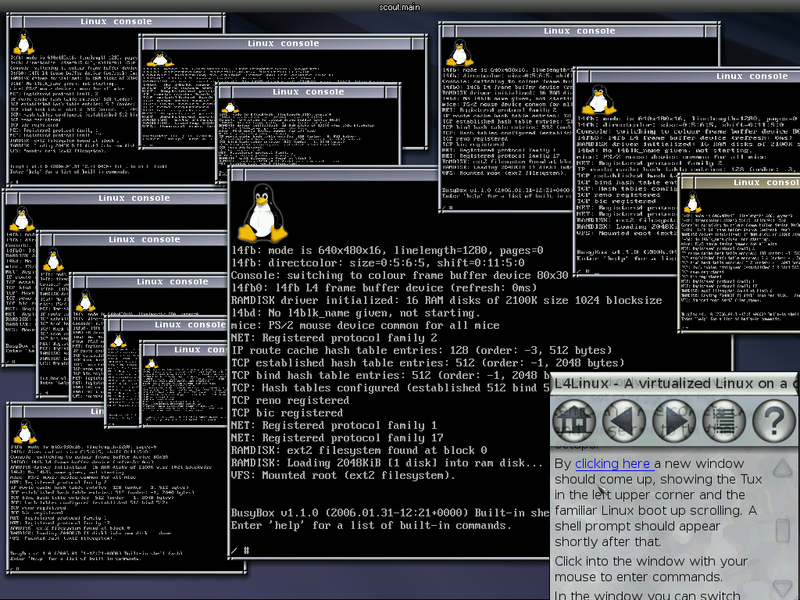 This screenshot shows many L4Linux instances under DOpE along with the demo tutorial browser. Also check out our Demo-CD! This screenshot shows 2 L4Linux instances running under DOpE along with some other graphical applications. 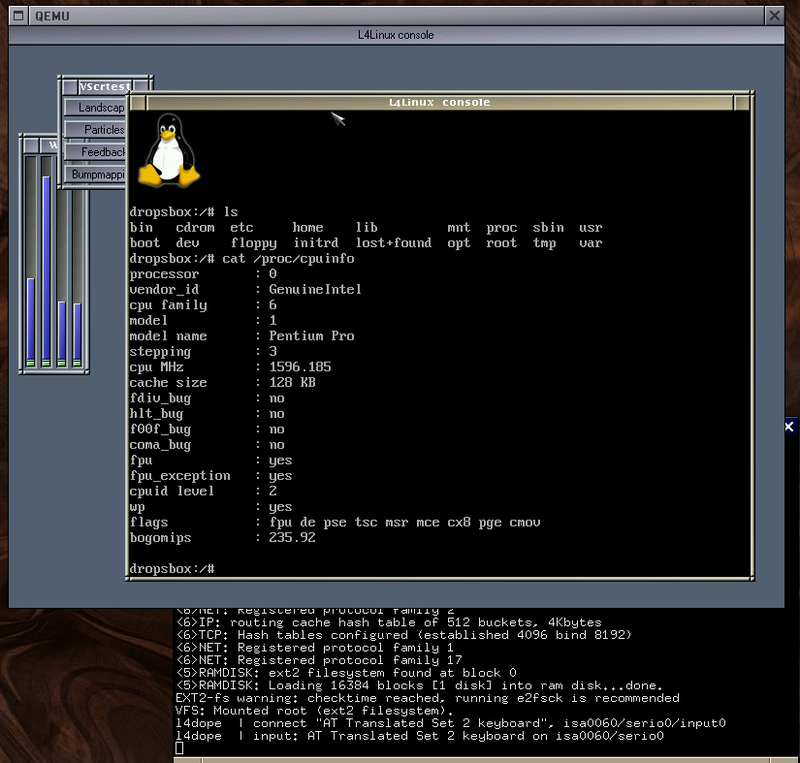 One instance is L4Linux-2.4, the other is L4Linux-2.6. In this screenshot you see an L4 with X running unde Fiasco-UX and con. 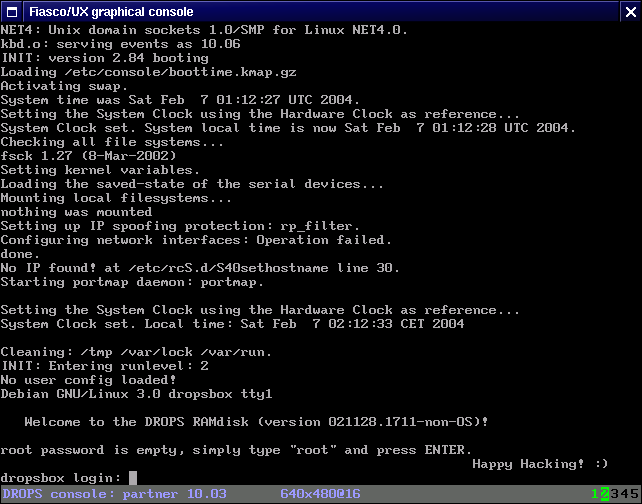 This shows an L4Linux which has just finished booting. It runs in the "con" console system and under Fiasco-UX. 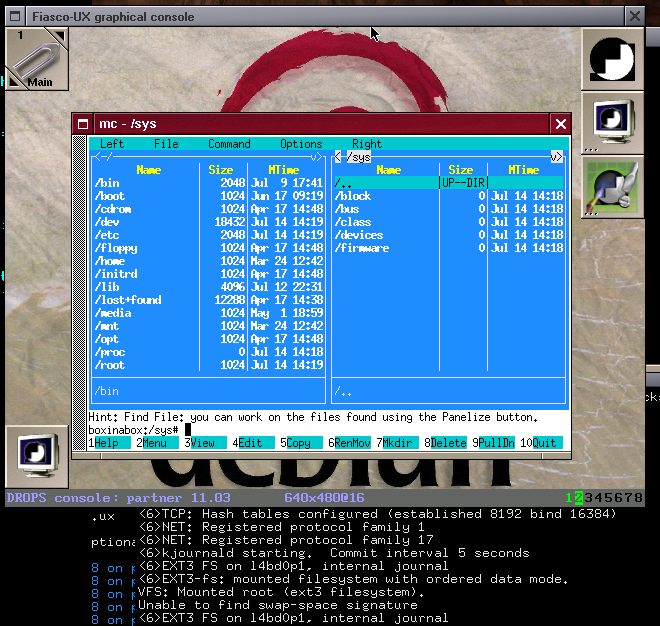 This screenshot shows "run", a simple interface to load, kill and do various other tasks related to the loader system. 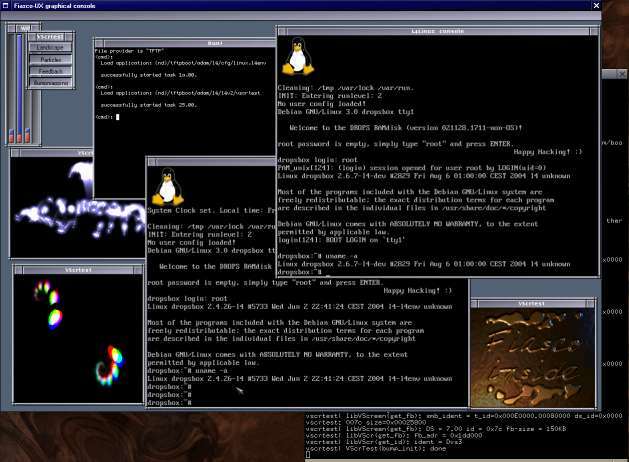 The first command issued was to load another L4Linux instance. 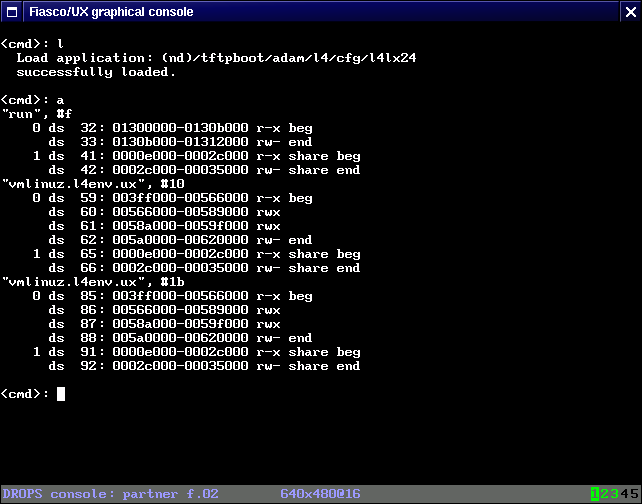 The second command shows the programs which were loaded via the loader system. X also works under DOpE, of course. Using QEMU works as well.